HOT DEAL: Exclusive Richer Sounds/Cambridge Audio discount offer! | What Hi-Fi? HOT DEAL: Exclusive Richer Sounds/Cambridge Audio discount offer! 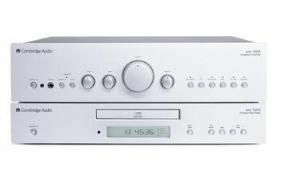 The offer runs for two weeks and is only available in store to users of whathifi.com. So if you want to pick up a bit of a hi-fi bargain, head on down to your nearest Richer Sounds store. Please note, this offer is not available online via the Richer Sounds website.